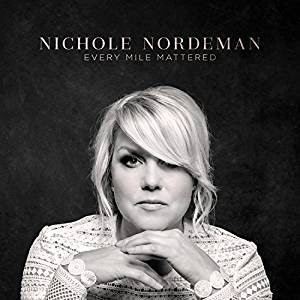 But, Nichole Nordeman's new lyric video, "Every Mile Mattered" (from the album by the same name), shares how everything that has happened in my life is all a part of my history. If these things had not happened, yes, everything would be different, but I wouldn't be the person I am today. I wouldn't be the person I was meant to be. In keeping with Nichole's style of introspective music, the entire album is full of tender songs that help us reflect on our lives - past, present and future. Everyone is on a journey, and every traveler gets dusty and bruised along their path. But, the paths we have taken, or have been forced to take, do not have to ruin our lives. We can leave the past behind, learn from the mistakes we have made, cherish the good times, and focus on the endless miles of God's goodness in our lives - past, present, and future. EVERY. MILE. MATTERS. Pre-order on Amazon or iTunes and/or enter below to be included in a random drawing for one copy of this CD. Entries will be accepted until Saturday, July 22, 2017, at 8:00 p.m. Central time. One entry per mailing address. Continental U.S. residents only. Must be 18 or older to enter. On another note: Remember the popular heart-touching song "Slow Down" by Nichole Nordeman? Well, that same song is on this album featuring a young girl, Pepper Ingram. It is a sweet version. And, now, Nichole also has a book called “SLOW DOWN” coming out in August. You can pre-order a copy here: http://slowdown-book.com.